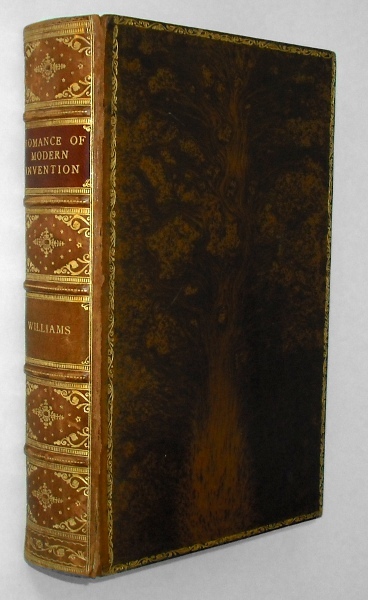 Sumptuous prize binding of an charming book on some 'modern' inventions. 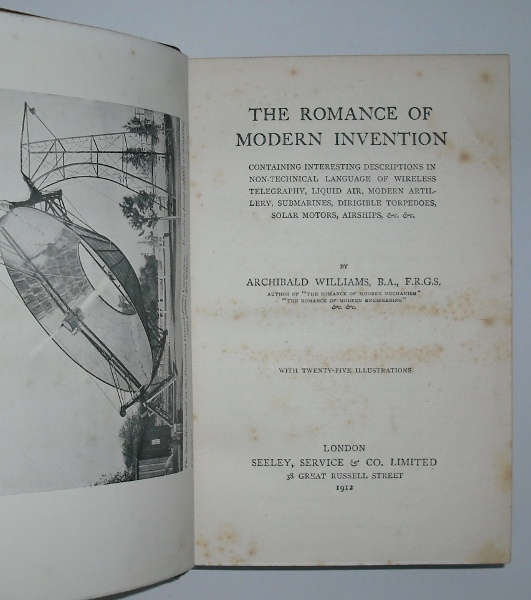 With 25 b/w images, Williams examines devices like Dirrigible Torpedoes, Horseless carriages and the Telephone. Explaining how it was developed and how it works. Smooth tree calf with lavish gilt design to spine, dentelles to inner, outer and edge of boards. Marbled endpapers with matching marble to page edge. Some cracking to hinge. Minor foxing to frontis but contents are neat and clean. Very good.